For great live entertainment with a view of the beach, enjoy the nightlife at B. Jigger's at the Holiday Inn Resort Galveston On the Beach. Voted "Favorite Live Music Venue" by visitors to Galveston.com and Voted "Best Live Music" by Readers of the Galveston County Daily News. 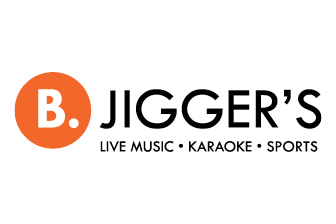 B. Jigger's is a favorite of locals and visitors alike with live music and drink specials seven days a week. Check out the events we have planned for this month! Craving a late night snack? 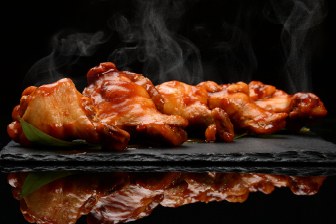 Head over to B. Jigger’s Lounge on Friday & Saturday from 10pm-12am for your favorite late night bites from quesadillas to cheese sticks and more! Enjoy food and drink happy hour specials any day of the week at B. Jiggers Lounge! From $4 margaritas to $5 classic chili dogs, B. Jiggers will become your new favorite spot for happy hour! Indulge in your favorite happy hour treats for only $3 at B. Jiggers Lounge Sunday--Friday from 3-7pm! Choose from quesadillas, buffalo wings, chips & queso, Jetty potatoes, fried mozzarella sticks, or calamari.